Posted July 13, 2018 • filed under Resource. Rather than pushing the boundaries of its technology, this short story focuses squarely on how the web can be used in the service of a narrative. Though it contains elements of interactive fiction, with some branching pathways, the story itself is mostly linear: a first-person narrative of a boy attempting to preserve his childhood while war rages around him. Magnuson’s use of gaming conventions in the prose bring an interesting aesthetic to its otherwise more traditional approach: enabling the reader to interrogate the scenery, the narrator’s thoughts, and inspect other characters directly. And its use of visual cues and sound give the story depth and texture, supporting and never distracting from the text. This approach to presentation is used to tremendous effect as the story closes in on its devastating conclusion and the experience on screen begins to mirror both its character’s and the reader’s emotional intensity. And like any well-told story, it’s that intensity that stays with the reader, even after the browser window is closed. 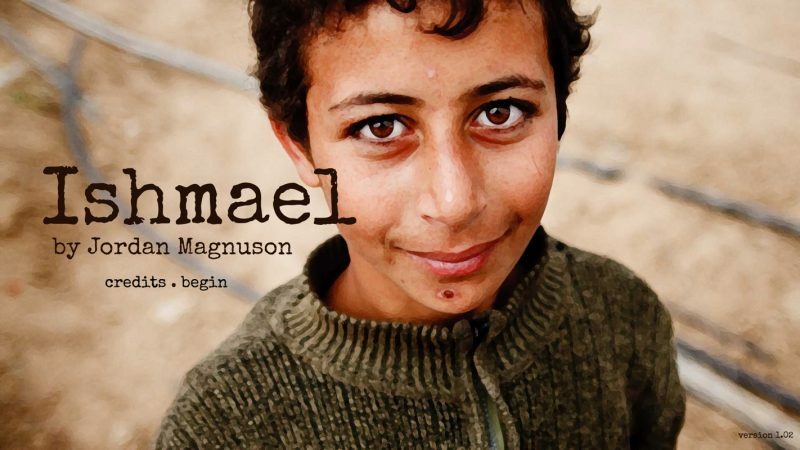 Ishmael is available to read online.